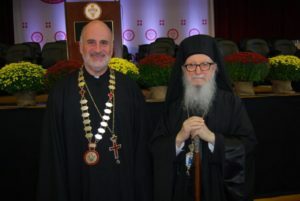 BOSTON – In a confidential letter, dated May 8, 2018, to His Eminence Archbishop Demetrios of America eleven members of the Board of Trustees including members of the Executive Committee as well of Hellenic College and Holy Cross Greek Orthodox School of Theology (HCHC), warned in a most official and final way that Hellenic College is threatened with elimination and the Theological School is in danger of losing its academic accreditation, while its future is doubtful. They have arrived at the point of stating that maybe they will not accept students for this coming September. The members of the Board of Trustees in their letter-report which was obtained by The National Herald write to the Archbishop as Chairman of the Board “regarding the very serious state of the institution” they stated and they request the immediate removal of the School’s President Rev. Christopher Metropulos. They wrote that “as trustees of HCHC, we have become recipients of a special spiritual and legal duty. How we exercise this duty is not only something for which we must answer to the Commonwealth of Massachusetts but, much more importantly, something for which we must answer to God and to all the faithful members of the Greek Orthodox Archdiocese of America who love and depend on HCHC. Christ is risen! Your blessing! With respect and love for you, the Greek Orthodox Church in America and Hellenic College / Holy Cross, we offer the following report and proposal regarding the very serious state of the institution. As you reminded us at the meeting on April 24, 2018, the meaning of the word fiduciary derives from the Latin term, fidere, meaning “to have faith.” As trustees of HCHC, we have become recipients of a special spiritual and legal duty. How we exercise this duty is not only something for which we must answer to the Commonwealth of Massachusetts but, much more importantly, something for which we must answer to God and to all the faithful members of the Greek Orthodox Archdiocese of America who love and depend on HCHC. In addition, those of us who are members of the Executive Committee serve as representatives of all of the other trustees; they depend on and expect us to oversee the institution’s well-being, to report to them, and to communicate their insights and concerns to Your Eminence and the other corporate officers. For approximately 18 months, we have expressed to you repeatedly our very serious concerns about the direction of HCHC under the leadership of Fr. President Christopher Metropulos. We have communicated details about the institution’s spiritual, academic, financial, administrative, and governance condition. Our intention throughout has been simple: to exercise faithfully our responsibility as fiduciaries in the full sense of the term. On April 24, 2018, we participated in the special BOT meeting convened to hear and assess Fr. Christopher’s proposed “recovery plan” in light of HCHC’s rapidly declining conditions, a plan the full Board had unanimously tasked him to prepare at its January 19 meeting. Despite the fact that Fr. Christopher did not send his “plan” to the Board in advance of the meeting because he said he did not trust the Board to keep it confidential, we patiently listened to Fr. Christopher’s remarks; we considered his points carefully; we asked respectful questions; and we, along with seemingly all who attended, became convinced that what Fr. Christopher offered us was totally insufficient. It was not a “recovery plan,” it was a set of ideas and suggestions without coherence, without supporting evidence, without contributions from the Deans and faculty, and without a systematic path forward. In short, at a time of crisis for the institution on a number of fronts, Fr.Christopher took three precious months to develop and present to the Board what he described himself as a set of “talking points,” a far cry from the “robust plan” the Board had asked him to prepare. We have had serious concerns about Fr. Christopher’s abilities for many months; now, however, we believe beyond doubt that tolerating his continuation as the President of HCHC would be a betrayal of our spiritual and legal responsibilities as trustees. In addition, we cannot, as fiduciaries, accept an incoming class at HCHC without a compelling recovery plan and a President capable of executing it in collaboration with staff, faculty, trustees, and other donors. Before we delineate an alternative recovery plan, we would like to recap the key developments at HCHC over the past 3 years. Departures of Senior Management: all three Deans (Fr. Nicholas Belcher, Dean Skedros, and Dean Katos), as well as the Vice President of Institutional Advancement (Kosta Alexis) have either resigned abruptly or tendered their resignations effective June 30 of this year. Rather than promptly informing the EC or the Board of these significant developments, Fr. Christopher remained silent, only acknowledging the developments when asked about them in the presence of the full Board. As of June 30, 2018, HCHC will not have a senior management team. Enrollment: Fr. Christopher has failed in his efforts to increase enrollment. HCHC enrollment has dropped 25% from 185 students in Sept ’15, to 182 students in Sept ’16, to 166 students in Sept ’17, to an expected 140 in Sept ’18. Finances: The table set forth on Attachment I hereto shows HCHC’s summary financial results and a few key financial metrics for the fiscal years ending June 30, 2016, 2017 and 2018 (projected). The overall financial trend is alarming and is not sustainable. Over the three year period shown on Attachment I, HCHC has incurred or will incur cash deficits ranging from $2.2 -$3.1 million per year. Over the past 36 months, we have been averaging a monthly cash deficit of ~$190,000, and HCHC is now unable to make payroll without further endowment borrowing. During Fr. Christopher’s presidency, we have borrowed a total of ~$6.7 million from our unrestricted endowment funds (pooled accounts), and as of April 30, 2018, HCHC only had ~$1.1 million of such unrestricted pooled account funds remaining, as compared to a projected cash deficit through the calendar year ending December 31, 2018 of $2.6 million. Absent a significant cash infusion, HCHC will run out of money before the end of the current fiscal year (June 30). Realistic projections for the next two fiscal years are equally dire. The table set forth on Attachment II hereto sets forth HCHC’s projected “baseline” financial performance for the fiscal year’s ending June 30, 2019 and 2020. As is evident from these figures, which project cash deficits over the next two fiscal years ranging from ~$3.7-$3.9 million per year, HCHC’s financial situation has reached crisis levels. In order to fund operations for the balance of this fiscal year (which will require ~$1,050,000) and achieve a balanced budget for the next two fiscal years, which is essential in order to justify admitting the next incoming class, HCHC will require ~$8.7 million of incremental funds through either additional revenues or reduced costs. Accreditation: NEASC, one of our two accrediting bodies, issued us a formal “Notice of Concern” in March 2017, stating that we are “in danger of not meeting the Commission’s standard on Institutional Resources.” One year after this warning, in April 2018, NEASC voted to continue HCHC’s “Notice of Concern” and will be coming to campus this Fall for a site visit. Given the continued decline of our finances and enrollment and numerous governance issues, the probability that we will be placed on probation or even lose our accreditation outright is high. Fundraising: With the exception of donations & pledges for the failed student-center proposal, fundraising has been generally flat. Fr. Christopher travels continuously, but without a methodical development plan, without accountability to the board, and without communicating the purpose of his absences from campus to senior management or trustees. With the departure of Kosta Alexis, who indicated that he left due to a lack of Presidential “leadership and vision,” the school is left without a professional development officer at a time when the need for such skill set could not be more critical. Since Mr. Alexis’ departure in 2017, Fr. Christopher has made no effort to search for a replacement. Facilities: Responsibility for Facilities and Grounds has been neglected since the departure of James Karloutsos in 2015. Jacobs Engineering conducted a study of our campus in 2015, which ascertained that there are currently ~$10.5 M in facilities deficiencies, including several ADA violations. The President received and reviewed the report, but no action has been taken. Strategic Planning: No work has been done on Strategic Planning under Fr. Christopher’s leadership, despite this being a vital component of accreditation evaluation and a valuable planning tool. Unsustainable Academic Programs: Some of the undergraduate programs have been running at unsustainable levels and a proposal to close some programs (Elementary Education, Management & Leadership) have been dismissed by Fr. Christopher. Oversized Faculty: Nothing has been done to adjust the size of the faculty in light of declining enrollments, even though the 2 academic deans have made recommendations and provided a plan to the President. Currently, HCHC has 22 full-time faculty for only 164 students. This overall ratio is nearly three times higher than the ratio at comparable institutions, and the ratio comparisons are even worse for some specific programs. Governance: Between December 2016 and today, 10 Executive Committee Meetings have been canceled. The Oct. 2017 EC meeting was scheduled with only 4 days’ notice. Thus, over the course of 20 months (Nov 2016-May 2018) a total of only 5 EC meetings have been held. According to our bylaws there should have been 16 meetings. In addition, 14 months after the repose of Christine Karavites, we still have no BOT Corporate Secretary. Minutes have not been kept consistently and, at times, have been kept irresponsibly, as was evidenced by the need for substantial corrections and edits to the January 19, 2018 meeting minutes. Communication and Collaboration with Trustees: Repeatedly, trustees have been left out of communications, misinformed about vital institutional data, and sidelined from the governance process, compromising our ability to fulfill our entrusted roles. For example: (a) the NEASC “notice of concern” issued in March 2017 was not shared with the BOT until 2 months after it was received; (2) for the entire Fall semester 2017, Fr. Christopher did not bother to communicate declining enrollment numbers to the BOT; and (3) Dean Skedros submitted his letter of resignation to Fr. Christopher in October 2017, requesting to end his term as Dean a year early; yet, at the December 2017 EC meeting, the President denied that Dean Skedros had done so and he never communicated this critical information to the Academic Affairs Committee. Given the advanced state of the crisis within which HCHC now finds itself, the uphill demographic changes (“the fundamental problem is too many institutions chasing too few students”1), and the competitive and assessment landscape of higher education today, Hellenic College’s demise is much more probable than its recovery, and Holy Cross is in grave risk of losing accreditation. The examples of small colleges and seminaries that have closed or merged with other institutions are abundant. We do not say this out of a lack of faith or hope; we say it as a reality that must be taken seriously, especially as the Board considers whether or not to accept an incoming class in the Fall of 2018. Small colleges that defy this trend today are those that “have found a strong niche”2 and that have a President who inspires and collaborates with senior management and with trustees. As a hard-working and faithful priest of the Church, Fr. Christopher has our respect; as our brother in Christ, he and his family have our love and prayers. However, in light of our experience over the past three years, we have withdrawn our confidence in him as HCHC’s President. In our judgment, even if the “recovery plan” he presented on April 24th had been a compelling plan, he is not capable of leading the HCHC community through such a complex and inescapably collaborative endeavor. “Strength in Numbers: Strategies for collaborating in a new era for higher education: http://parthenon.ey.com/po/en/perspectives/strength-in-numbers–higher-education-collaboration. S. Reynolds in ibid. We need a leader who will work with us—not ignore us; who will solicit and listen to our expertise—not sideline and patronize us; and who will bring out the best in the students, staff, faculty, trustees, alumni, and benefactors of this sacred school. The foregoing sets the context for what we believe to be the essential prerequisites to a successful recovery plan for HCHC. These prerequisites, which are set forth below, constitute the immediate and decisive actions that we believe must be taken in order to set the stage for the recovery of HCHC and enable the Board to justify acceptance of an incoming class for the 2018-2019 school year. Prerequisite #1 (New Presidential Leadership): HCHC needs a new leader immediately. Fr. Christopher needs to submit his letter of resignation to Your Eminence and the Board or be removed, in either case effective immediately following graduation (May 20, 2018). Prerequisite #2 (Near Term Financial Resources): Anchored by (i) a commitment from the Archdiocese to get current on its financial commitment over the next 2 years (1.75M arrears + 1.0M budgeted for current year), (ii) identified cost savings resulting from financial exigency and other cost saving measures, and (iii) financial commitments in support of the HCHC Recovery Plan, HCHC must have a credible and realistic balanced budget that will carry the school through June 30, 2020. The Finance Committee, Interim President and administration should jointly and promptly determine whether such a budget can be developed. Appoint an interim President, from Your Eminence’s recommended candidates, who will serve a minimum 12-18 months (hiring terms to include appropriate incentives, evaluative criteria, and a review process). Appoint a new Corporate Secretary from Your Eminence’s recommended candidates. Honor Vice-Chair Dr. Lelon and discuss rotating in a new Vice-Chair to leading the Recovery Plan. Set BOT and EC meeting schedule for the near term and for the fiscal year July 1 ,2018 through June 30, 2019. Set up a meeting with NEASC to update them on changes / HCHC Recovery Plan. Begin implementation of the “HCHC Recovery Plan” under the leadership of the interim President (see outline below). Financial Overview: While the financial challenges facing the school are significant (see Attachment II), we believe that the gap can potentially be filled through a combination of (i) increased Archdiocesan funding (i.e., the Archdiocese gets current on its financial commitment over the next 2 years by funding the current receivable balance of $1.75 million, in addition to providing the $1 million per annum as presumed in the baseline projections on Attachment II), (ii) cost savings resulting from a declaration of financial exigency and other measures, and (iii) incremental financial commitments and fundraising in support of the HCHC Recovery Plan. The table below sets forth a potentially achievable path towards a balanced budget result for HCHC over the next two fiscal years. As indicated above, we believe the Finance Committee, Interim President and administration should meet immediately following graduation to jointly and promptly refine this analysis and determine whether the projected budget gaps can realistically be closed. – We believe that the taking of action with respect to the Essential Prerequisites and adoption of a credible Recovery Plan will position HCHC to raise significant levels of incremental funds from donors that do not want to see the school fail. – On a voluntary basis and without solicitation, trustees with knowledge of HCHC’s current situation have volunteered to contribute a total of $400,000 contingent on adoption of a viable recovery plan that includes the essential prerequisites referenced above. We believe that decisive action on the Essential Prerequisites and adoption of the proposed recovery plan will draw substantial additional support from donors who are currently not willing to support HCHC under Fr. Christopher’s leadership. – Begin search for new head of Institutional Advancement to fill position vacated by Kosta Alexis. – Review / streamline existing programs in Hellenic; preserve only 2 or 3 undergraduate majors that align fully with HCHC’s mission / Orthodox identity. – Reduce full-time faculty by at least 50%, offering half and part-time positions as needed to cover core requirements. Move from 2 faculties to 1 faculty, with 1 Academic Dean. – Change contracts and expectations for full-time faculty who stay (consider elimination/significant reduction of tenure, increased teaching load, mandatory hours on campus for full-time faculty, freeze on sabbaticals & conference travel, etc.). – Name a campus Chaplain, ideally from within, and refocus on cultivating a healthy and prayerful Orthodox ethos on campus. – Consider various initiatives to enrich student experiences and promote cohesion (such as launching a new and significant philanthropy project, increasing the role of OVM, developing a Philoxenia House promotional video, conducting student fundraisers for missions, ethics bowl, etc.). 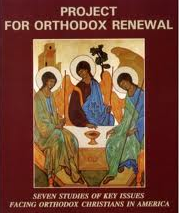 – Offer a menu of global Orthodox immersion experiences ranging from 5 or 6 days to a full semester abroad. – Increase discount rate temporarily to increase on campus enrollments. – Announce a set number of top tier scholarships, providing outstanding prospective students with 75-100% tuition awards. – Increase Summer school offerings with optional on-campus housing and market to Orthodox students enrolled elsewhere. “Spend 3 weeks on campus taking an intensive course, connecting with God and fellow Orthodox from around the country.” This could be like CrossRoad 2.0. – Fundraising tour; new head of Institutional Advancement, interim President (where feasible), Helen Carlos, others; Events in each Metropolis if possible to promote the new vision for HCHC, increase visibility, recruit students, build alumni relationships and local communities of HCHC supporters. – Continuing education courses in online and intensive formats for clergy, etc. Next Article How does Orthodoxy relate to Pop Culture? Desperation. I remember a conversation over 30 years ago when I was received into the Church, when I asked about this Orthodox place, Holy Cross? A lady at a GOA parish told me it was Iakovos’ theory that he could invent a Greek “ivy league” school (in Boston, right?) 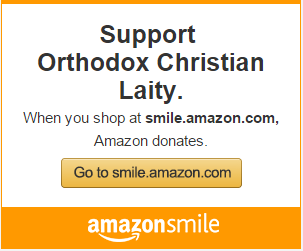 that would attract all Greek American kids, attach it to the seminary campus, recruit men for that, too. She said it resulted in a community college caliber school that never came close to capacity and was a money pit. She said if Greek Americans want to send their children to an ivy league school, they’re already there and HC doesn’t hold a candle to those. Today you can’t even say Holy Cross, the phrase is “Hellenicollegeholycross”. That’s one word. The failure of the one (old news) has been denied at least from the days when Iakovos would regularly hang another award on Jimmy Carter. A 50% reduction of HC’s in HCHC would have been a good idea 40 years ago, but good ideas are pretty hard to come by, aren’t they? Who would send a student there for anything? Sounds like a very detailed and well thought out plan to get us back to being the great institution we once were. Let’s implement it immediately before it is too late. Maybe it’s time we pick up our marbles and join the OCA. We need to join an autocephalous “American” Orthodox Church that preaches Christian values instead of ethnic social and cultural interests–especially of a nation that has not and does not regard the U.S. too favorably. The OCA has a unique and abiding history in this hemisphere. It operates accredited and recognized seminaries and supports a “healthy” and Christ-centered monastic tradition. And, its successful missionary efforts are well documented. What then are we waiting for? One factor in the decline in seminarian enrollment at HCHC is the cost of attendance. A seminarian must pay around $40,000 a year for four years (3 years for seminarians who are not GOA). Many HCHC graduates I know leave there owing between $60k-$80k in debt. Compare this to St. Vlad’s and St. Tikhon’s where donors and the management of costs allow seminarians to graduate with little to no debt. This is a very important issue since more and more seminarians are older (30’s-40’s) and have families. It is hard to expect a seminarian to take on the burden of $80k in student loans on a beginning salary scale and provide for their family. St. Vlad’s and St. Tikhon’s get this and have established financial aid programs to address this issue, while HCHC has not.